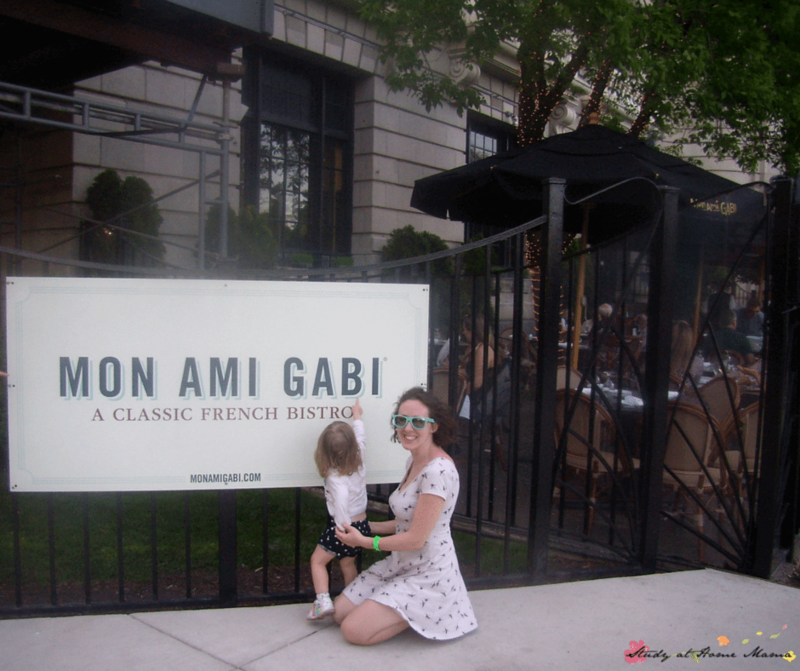 I’m sad that I didn’t get a chance to visit Graham Elliot’s namesake restaurant before it closed, but we thoroughly enjoyed Graham Elliot Bistro (GEBistro) and Grahamwich (also now closed). If you forget to make a reservation and the restaurant is full, it’s in a great district for food and right down the street from an amazing Greek restaurant, Nia. You’re really coming here for the view but the coffee at both was some of the best I had in Chicago. Brunch at the Signature Lounge is a bit pricey (around $45 per adult), but again, you’re paying for the view and it’s all you can eat. What we ate: Brunch: chilled seafood, fresh fruit, yogurt and granola parfaits, seasonal market salads, gourmet soups, artisan cheeses, assorted charcuterie, pancakes, bread pudding, eggs benedict, steak and eggs, braised goat, grilled pork loin, roasted chicken, and desserts! Long-time readers may remember, Ella has a slight obsession with celebrity chefs (she plans to be one someday), and among her favourite is Anthony Bourdain. Hot Doug’s was featured in an episode of No Reservations, so we naturally had to order the exact same meal that Anthony Bourdain ordered and sit at the exact same table. It’s so funny to me now looking at how little Ella is in these pictures because her foodie personality is full-fledged. 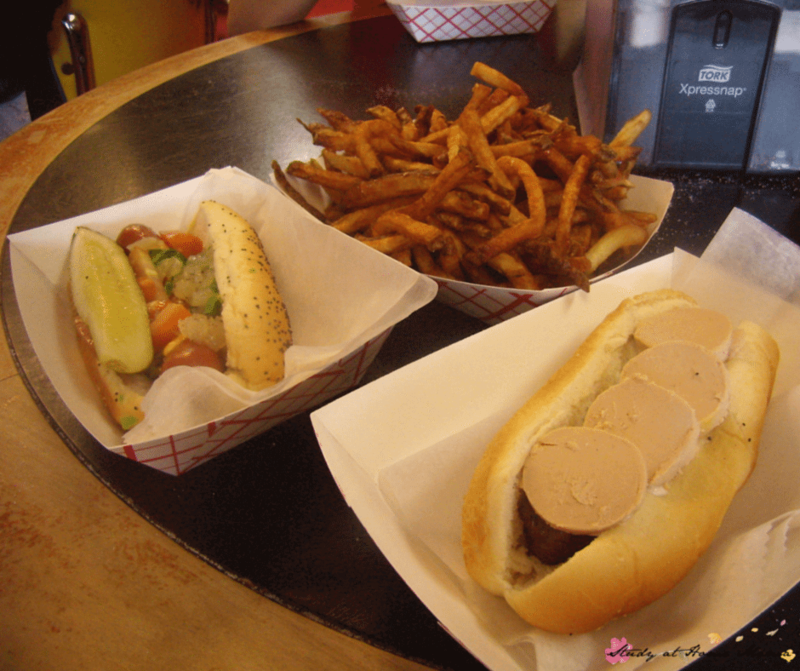 I’m honestly so sad that this restaurant has closed – but I included it because you absolutely must have a Chicago-style hot dog if you’re planning on visiting Chicago, and you can buy the Hot Doug’s cookbook for a taste of Chicago! This classic French bistro is located close to Lincoln Park Conservatory and Lincoln Park Zoo and boasts one of the best brunches in the city. While I found entering the restaurant difficult with a stroller, they were happy to greet us and the atmosphere was relaxed and sophisticated. We tried to return again for supper, but weren’t able to on this trip. Cannot wait to visit here again. This is less a foodie destination than a cultural landmark. The Billy Goat Tavern was immortalized in the SNL skit and when planning our trip, I knew we’d have to stop in at one of their locations. 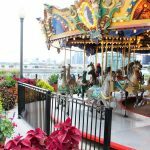 We went with the Navy Pier location – less authentic, but the location is better for families who can then pop into the Children’s Museum or ride one of the ships. 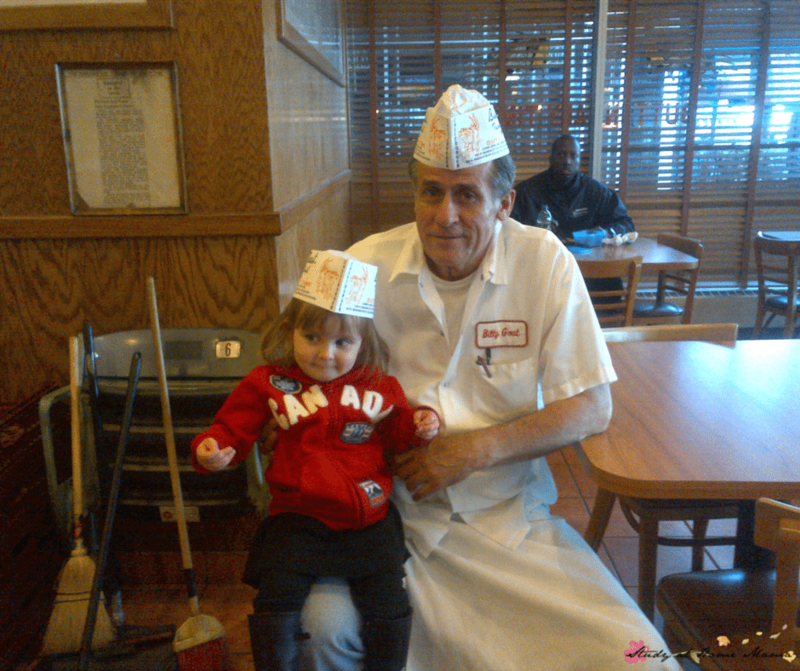 The story behind this picture is that Ella was being a bit of a ham out front, doing her best Bill Murray interpretation, when one of the cooks came out and gave her an authentic Billy Goat Tavern cap. My dad freaked out when we showed him the hat on our return home and is “keeping it safe” for her. 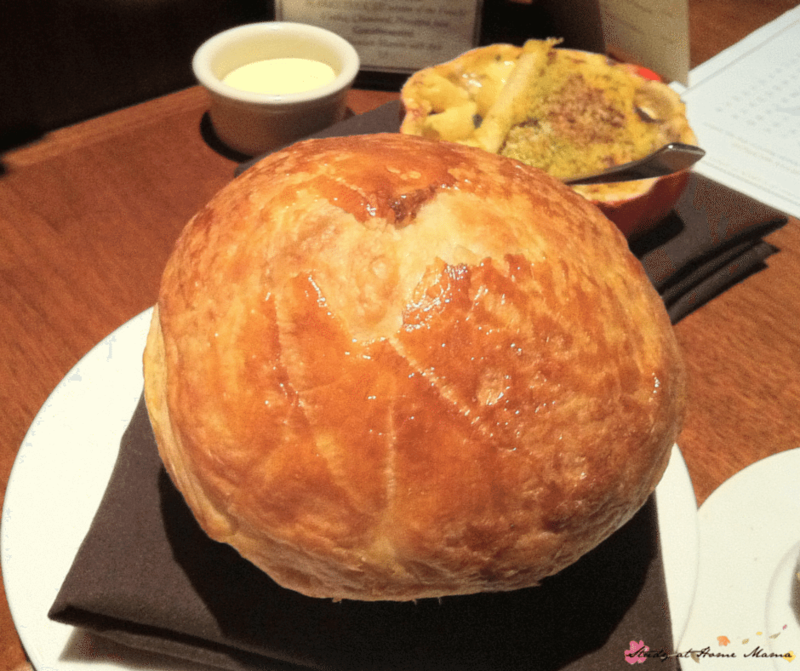 While Marketplace had great food, it’s really being included in the list for having the best service out of any of the restaurants we visited and it is a great option for a foodie parent with a picky kid. In contrast to Marketplace, we probably received the worst, most condescending service at La Sardine, but that may have just been that particular waiter. La Sardine is across from Harpo Studios, so many patrons are there hoping to catch a celebrity sighting… maybe that waiter was, too! The food was amazing — clearly, or it would have never made the list — and the atmosphere is really laidback. We actually ate here twice during our week-long stay, and while I was prepared for it to be “just another chain restaurant,” I do have to say that the flagship Michigan Avenue location is pretty lush, but be prepared for a long wait no matter what time of day you stop by. 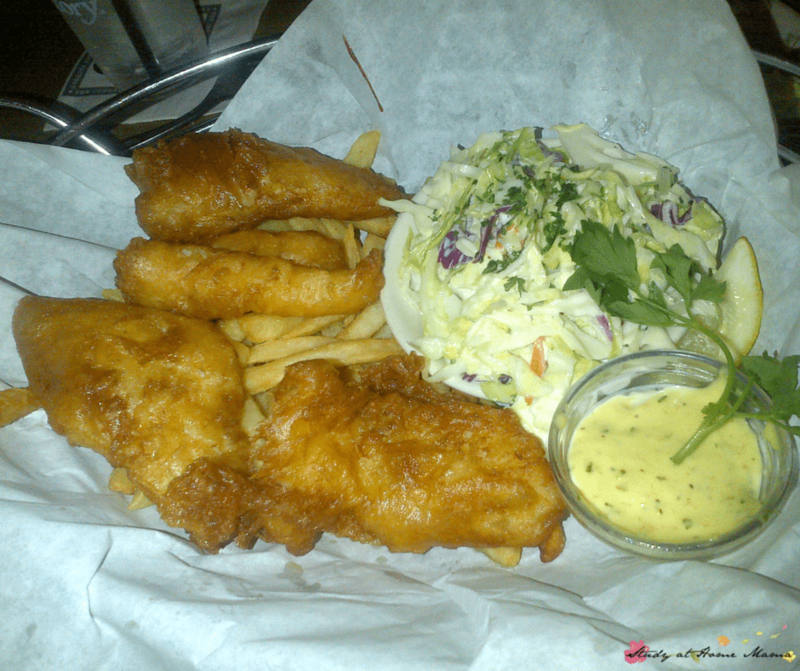 However, once you are seated the food comes quickly, and you can use that long wait time to browse their gigantic menu. 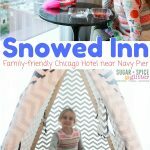 There are also many amazing Chicago restaurants that are a bit inaccessible to those travelling with children. If you find yourself visiting a Chicago neighbourhood, seek out what the locals love — they usually won’t steer you wrong! 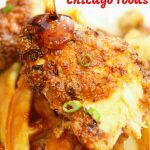 What are your favourite Chicago restaurants? 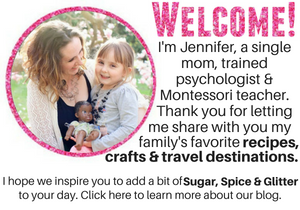 Thanks so much for dining with us, Jennifer! Hope to see you again the next time you’re in Chicago! Thanks for visiting, Lou’s Crew! You’ll definitely be seeing on us EVERY trip to Chicago! Chicago is our favorite city to visit! I’m adding this to Evernote for our next trip. 🙂 Have you ever tried M Henry’s? Best breakfast ever! I agree hands down Lou Malnatti’s is my Fave! We have lived here for quite some time and I haven’t even tried some of these! Can’t wait to try them soon! Ooh, I bet you would have some amazing recommendations to add to this list! We are heading to Chicago for a wedding in a few months and I’ve been looking for the perfect restaurant to go to. We only have one night. We aren’t bring our little girl with us but loved reading how accommodating these restaurants are. We are very lucky that we can take our daughter any where. She is quite a foodie now. I used to live in Chicago and went to Alinea a few times back when it first opened… I have to say, as well behaved as my kids are, I can’t see going there with my 3.5 year old, and my 22 month old would never last. Depending on if you go 8 course or 12 course, it’s a 2.5-3+ hour dining experience – and in a very quiet, subdued setting. And given what people are spending (easily $200-500 per person), I would imagine you are right – they most likely would not be thrilled to see a child at the table next to them. 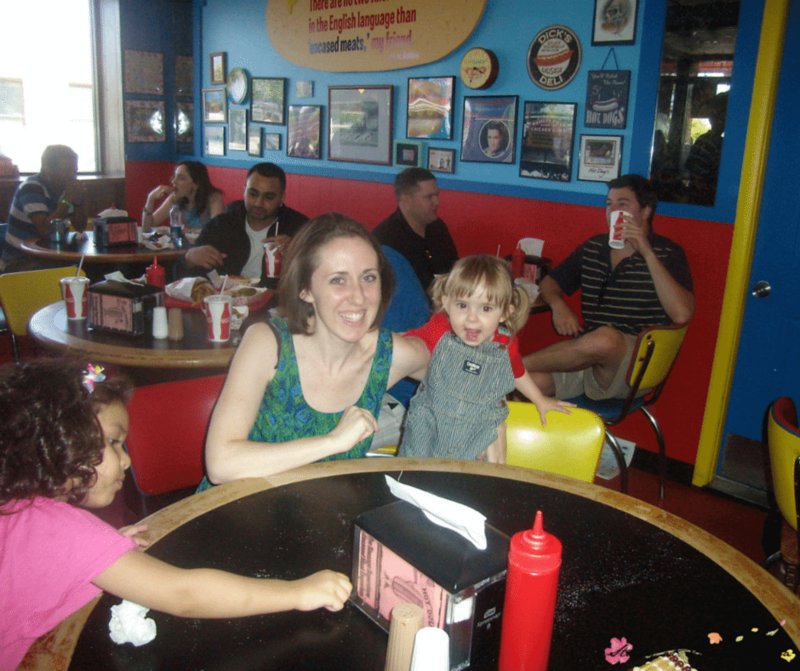 We eat out a lot, and my kids are always well-behaved, but not every place is child-appropriate. This is a great list Jennifer. I live in downtown Chicago with two kids (3 and 1) and can attest that we’ve taken our boys to many of these. Thanks for sharing. Great list! 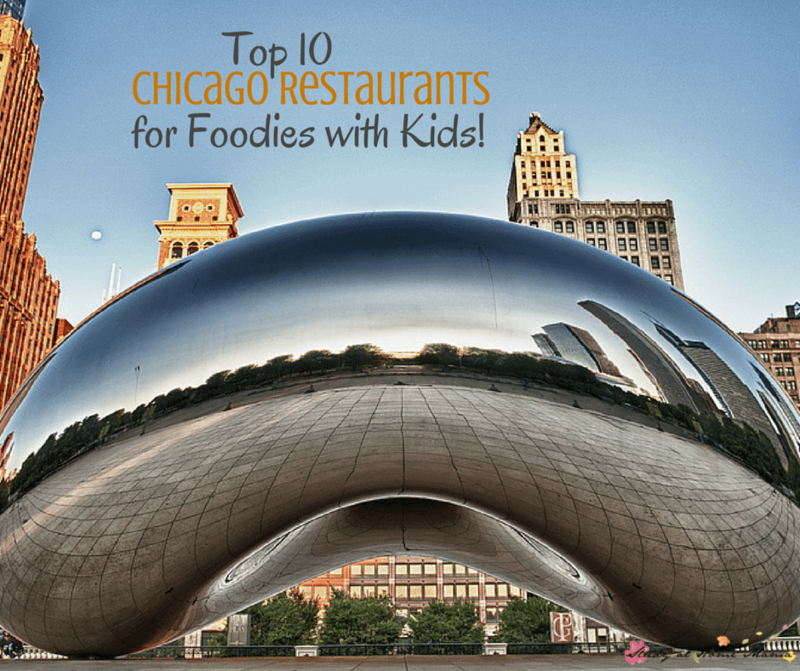 We lived in Chicago for a long time and you definitely hit a lot of the great eating spots! 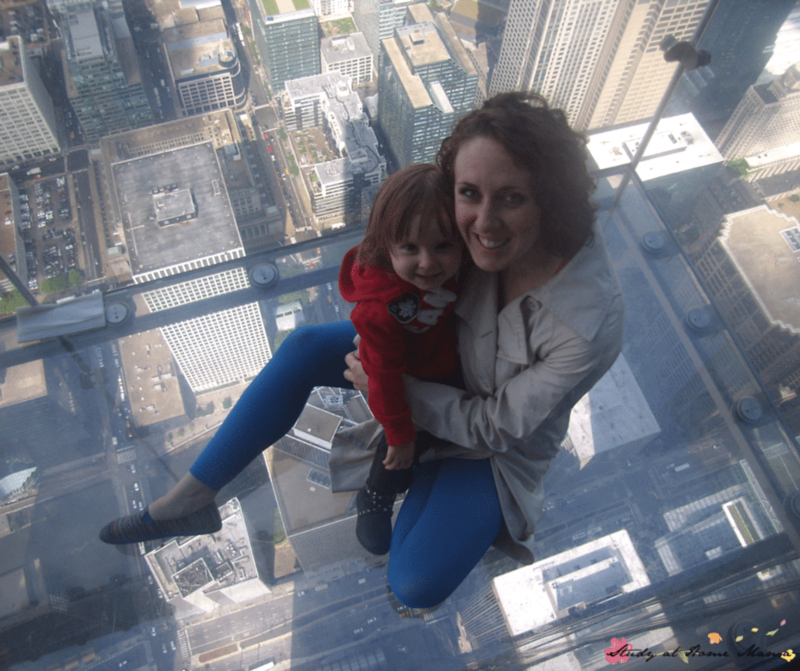 What a wonderful trip you were able to take with your daughter, Chicago is such an awesome city! Thanks for sharing! 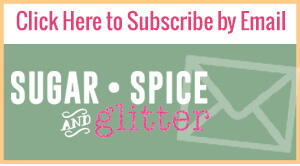 Visiting from the Thrifty Thursday blog hop. Thanks, Jody – we had a blast. You are so lucky to have lived there! 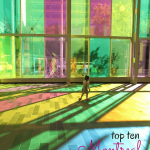 Montreal was too far for me. But I can do Chicago!